Fluid Base will be a source for all Martin Engineering RSA products and services throughout the country, including conveyor belt cleaners, transfer point solutions, flow aids, safety products and training, belt support products, silo cleaning and other field services. The companies will primarily serve customers involved in mining and material processing applications, as well as the cement and oil industries. 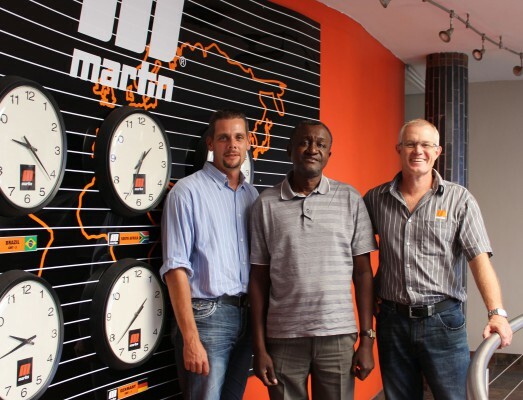 To minimize delivery times, Fluid Base will stock a wide range of Martin Engineering products and repair parts at its locations in Kitwe and Chilanga, which are strategically located near many of the major mining projects. 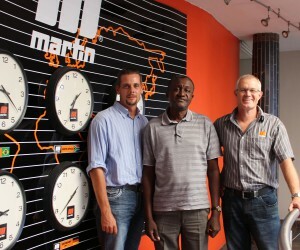 Fluid Base was formed in Zambia in 1997, initially focused on providing repair parts and services to the mining industry. The company is structured around a small group of technically-qualified individuals who deliver leading-edge components and expert service, including fabrication, installation and training. Jarrett has been working with Zambian mining companies and distributors for the last twelve years, and he finds excellent market potential and opportunities for service. “It can be difficult to gain entry into this market,” he admitted. Since 1944, Martin Engineering has developed innovative products and services for solids handling applications around the world. The company attributes its success to the design of field-proven, cost-effective solutions for "real-life" problems. Martin Engineering products are designed for tough industrial conditions, engineered for simplicity, safety and efficiency, and built to allow easy maintenance.